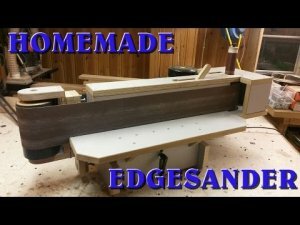 You have all built your own edge sanders using just everyday shop materials, right? But have you taken it to the next level and made a fully functional oscillating edge sander, with bonus spindle sander? If you have you can stop reading here, but if you haven’t you want to check out the video from Bellevue Woodshop below. I am starting to believe that there isn’t a tool that can’t be built out of scrap wood and a few electrical components.